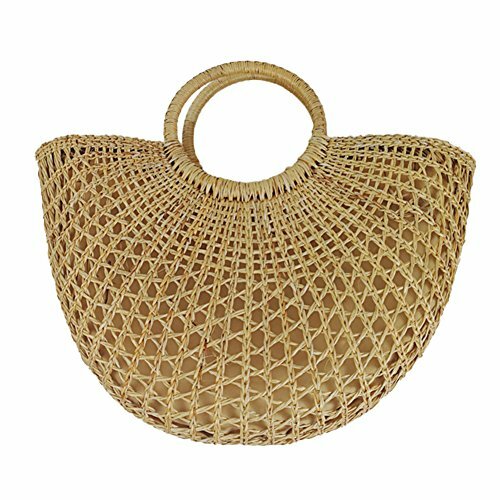 Main Features:Made of superior straw, rattan and paper string; so soft, comfortable and durable. It is so cute, creative, and fashionable, dresses up you so cute and full of personality.Drawstring closure not only adds beauty but also provides convenience for you to put in or take out your stuffs.Small but spacious, can store your phone, sunglasses, cosmetics, coins and changes.Great gifts for girls and women. Perfect for shopping, beach and travel.Please understand that hand-woven bag may be a little thread and rough and straw bag can not bear too much weight.Kindly Note:For purely manual measurements, please allow for the presence of 0.4-1.2inch errorsDue to light, display, camera, resolution and other reasons, please allow slight color difference.Please check carefully when you receive the item. If you have any questions, please contact us in time. We will give you a quick settlement.Washing Note: It can be surface cleaned with a damp sponge. Hand wash is OK.Please kindly let us know via Email if you got any problems, we will try our best to meet your requirement! ► Multi-Functional Baskets The basket is versatile and adapts to your different needs. Use them for storing toys, magazines, towels, blankets and throws. You may even want to use it to house your indoor plant. ► For laundry, markets, picnics, beaches and more... 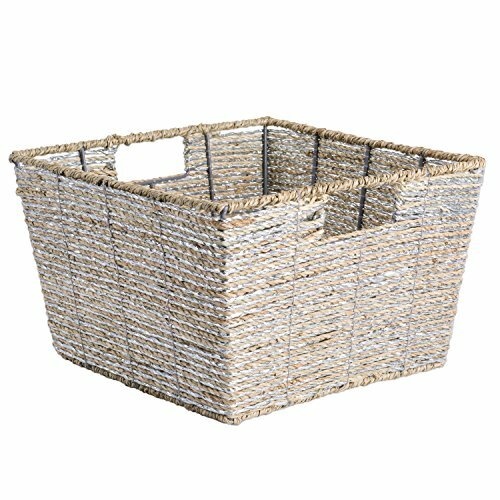 These soft structured folding basket also makes a stylish storage solution for your living room, bedroom, kids room, nursery, or bathroom. 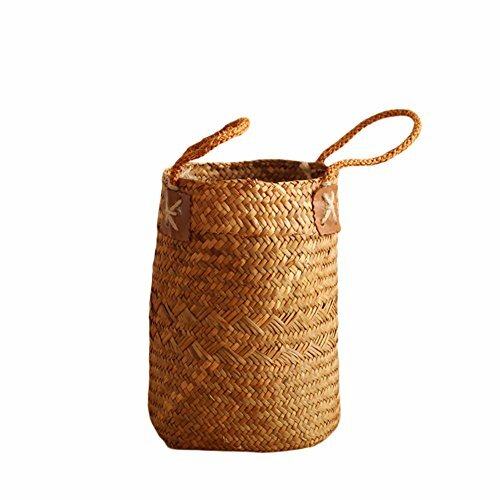 ► Ethically sourced and fair trade Handcrafted by local artisans in the south east tropics, their trade have been passed down for many generations. 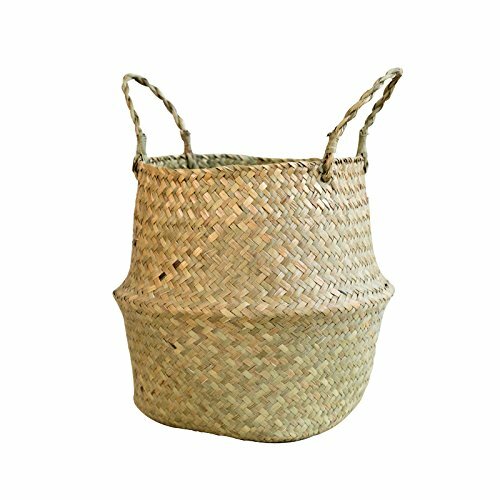 Each one of these hand woven seagrass belly baskets are made with love and care, have an authentic handmade feel and looks beautiful for it. 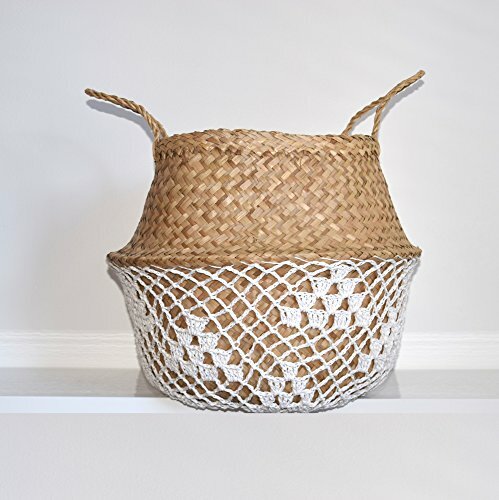 ► Perfect as a gift The Sosibon seagrass belly basket is easily collapsible into a bowl shape ideal for hampers. 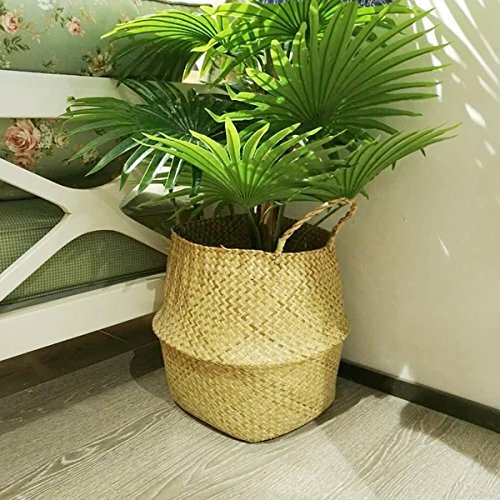 Superb for housewarming gift, baby showers or baby hampers.► 100% Renewable Material Seagrass is widely sustainable underwater plant and eco-friendly. Their natural and organic aesthetics will compliment any room in your home. ► Multi-Functional Baskets The basket is versatile and adapts to your different needs. Use them for storing toys, magazines, towels, blankets and throws. You may even want to use it to house your indoor plant. ► For laundry, markets, picnics, beaches and more... These soft structured folding basket also makes a stylish storage solution for your living room, bedroom, kids room, nursery, or bathroom. 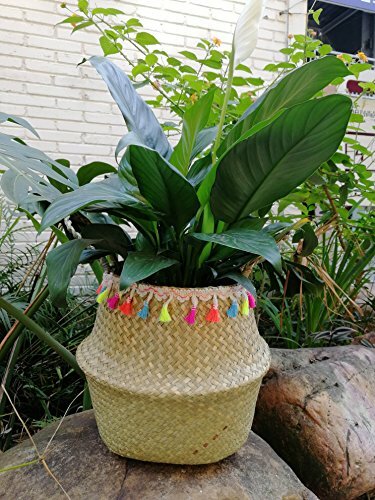 ► Ethically sourced and fair trade Handcrafted by local artisans in the south east tropics, their trade have been passed down for many generations. 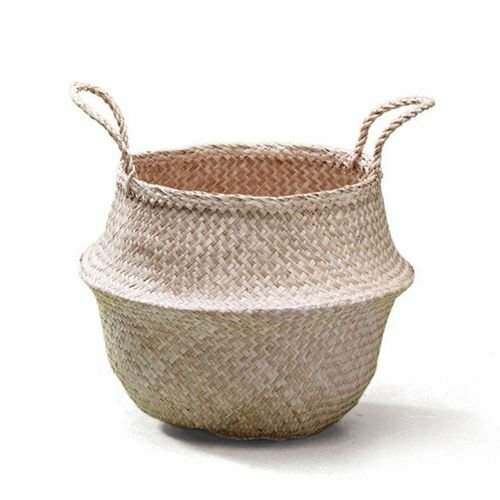 Each one of these hand woven seagrass belly baskets are made with love and care, have an authentic handmade feel and looks beautiful for it. ► Perfect as a gift A sustainable gift will be greatly appreciated for the meaning behind your choice. The Sosibon seagrass belly basket is easily collapsible into a bowl shape ideal for hampers. Superb for housewarming gift, baby showers or baby hampers. ► 100% Renewable Material Seagrass is widely sustainable underwater plant and eco-friendly. Their natural and organic aesthetics will complement any room in your home. Teal Heart Bag Collection...Cleaning your Straw Bag: Using paintbrush is the best way to remove dust from a straw bag. For deep cleaning, use soft cloth with a small amount of clean cold water and blot gently; then let air dry completely. 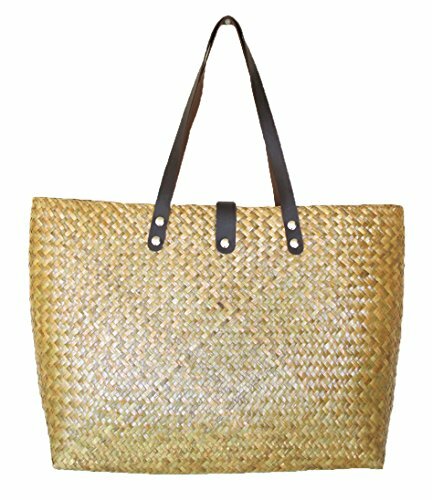 ......Take Care Your Straw Bag: Allow to air dry away from direct sunlight once a month.....Long Term Storage of Your Straw Bag: The straw bag should be kept in a humidity and temperature-controlled area. Use a cloth dust bag or pillow case for storage of your straw bag and put a Silica Gel Desiccant Bags inside the straw bag to absorb moisture....... Enjoy your straw bag and thank you very much for buying from us! 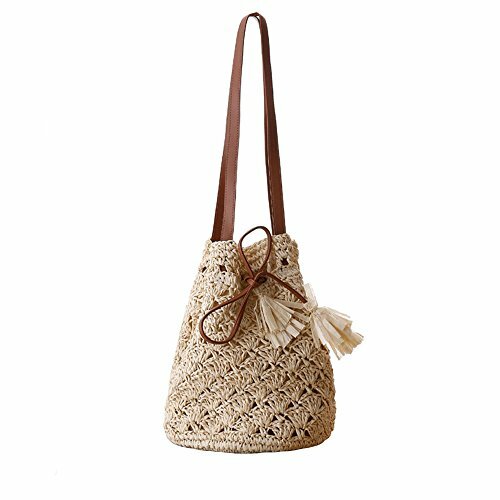 Compare prices on Grass Woven Tote at ShopPlanetUp.com – use promo codes and coupons for best offers and deals. We work hard to get you amazing deals and collect all available offers online and represent it in one place for the customers. Now our visitors can leverage benefits of big brands and heavy discounts available for that day and for famous brands.